The summer is heating up and with the heat comes a dramatic reduction in traffic on the roads, in the restaurants, and out and about as Season draws to a close. Take advantage of the reduced population and enjoy some of Sarasota's best summer activities! 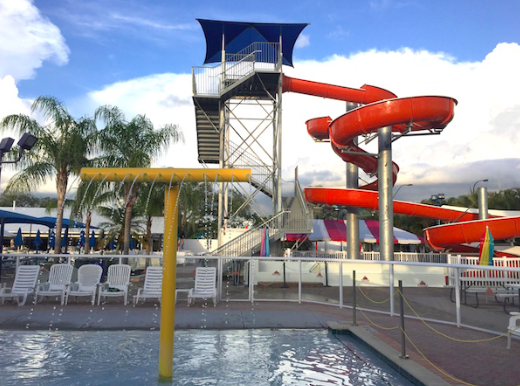 If you are searching for a way to feel like you are on vacation even though you live here, you need to check out Sun N Fun waterpark and resort! Sun N Fun is an RV resort popular with tourists but open to the public as well. Slide down the waterslides into one of the pools (they have an indoor & an outdoor one), which are absolutely huge (and occasionally features poolside movies on a giant screen!). In addition to water play, there are many other amenities: pickle ball, tennis courts, shuffleboard, billiards, disc golf, and mini-golf just to name a few! If you need a way to tire out the kids and enjoy your afternoon too, take a day trip to a vacation paradise. Located on Clark Road, Livingston's is a great family arcade. Enjoy the air conditioning while you while away the hours perfecting Skee-Ball, wreak havoc on the Go-Karts, or take a group and enjoy a game of Bazooka Ball! Also featuring a bar & restaurant with several pool tables, this is a great way to escape the heat and keep everyone in the family smiling. The owners of Evie's have restaurants all over town, including multiple Evie's locations, but this one takes the cake for summer fun! What you see when you drive by is a large restaurant and a fun mini-golf course with all the trimmings. For the first several years I lived here, this was all I knew Evie's to be. Then one day, I went in -- and behold! An arcade, a full outdoor patio with giant bar overlooking the driving range, bean bag games, and an ice creamery! Everyone in the family has something they enjoy and kids are in heaven with space to run & play while their families are enjoying the large (and very gluten-friendly!) menu items. This small north-of-downtown gem is not as well known as it should be. An absolutely whimsical setting, perfect for kids from 2 to 92, the Children's Garden features a life-sized pirate ship, a garden dragon, and mushroom stools in a beautiful garden setting. Picnic in the fairy house, or bring a book and perch on a toadstool while the kids explore and have an adventure on the pyramid of tires. A great way to pass a warm day is under the shade in this magical best-kept Sarasota secret. Are you just too hot? Escape the heat and lean back in a recliner with a glass of wine in hand and truffle fries before you at one of the summer's best flicks at CinéBistro. The movies is no novel idea when it comes to beating the heat, but you have not experienced cinematic luxury until you've been to CinéBistro. Matinee prices are only slightly above evening prices at most theaters and we think it is well worth it -- given that you can have your cake and eat it too while you view! When it comes to enjoying or beating the heat, Sarasota is one hot place to be!